The iconic painter, with his smock and beret, holds a brush in one hand and a palette of unmixed paints in the other. Oil painting, waterpainting and acrylic painting all use such sets of basic colors, which the artist then mixes to create the full range of hues for his work. One of these colors is burnt umber, which is literally raw umber that has been burnt. Unmixed, it is a warm, deep brown; mixed with other colors, it adds warmth and depth to otherwise overwhelming shades. Add very small amounts of burnt umber to bright reds to create more muted reds. Add reds to burnt umber to warm the brown. If you have a purple in your palette, mix burnt umber to make it more wine-colored. Create a slightly green ochre tone by mixing burnt umber into bright yellows. The more burnt umber you add, the more green your ochre becomes. Combine burnt umber with grays to adjust the shade of the gray. If you are working with Payne's gray, add it to burnt umber to make a cool grey-brown, or add burnt umber to Payne's gray to make taupe. Mix burnt umber with a vibrant blue to create various shades and qualities of gray, depending on the proportions and dilution. 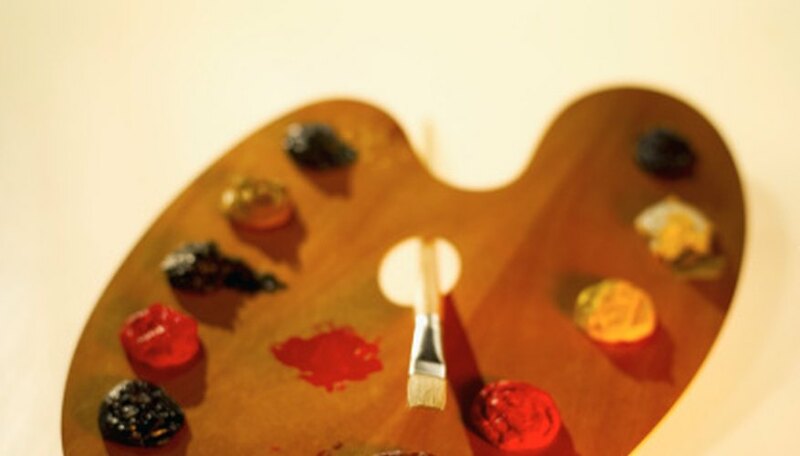 Mix burnt umber into green, if your palette includes it, to add richness to the green's tone. Dilute the mix to create soft, paler greens. Create black paint by combining equal amounts of burnt umber and gray, particularly Payne's gray. Add very small amounts of burnt umber to bright or overwhelming colors to tone them down without diminishing their warmth. Start with the color that is closest to the tone you want to create, and add another color to it in very small amounts until you reach the desired shade. Start with burnt umber when you are creating a brown-based tone; for all other colors, add burnt umber to the base shade. Mixes look darker on your palette than they will on your canvas. To test a blend's true shade, apply a little to a cotton swab and brush it onto a clean spot on the palette. What Colors Match With Olive Green?